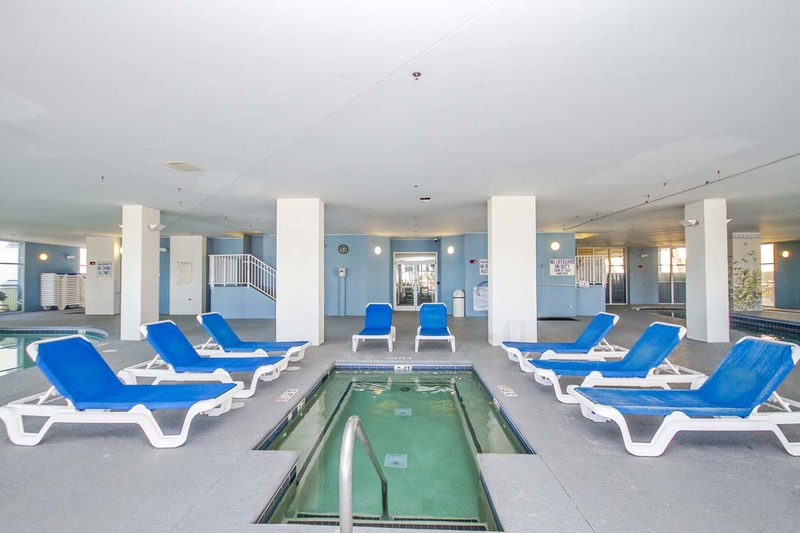 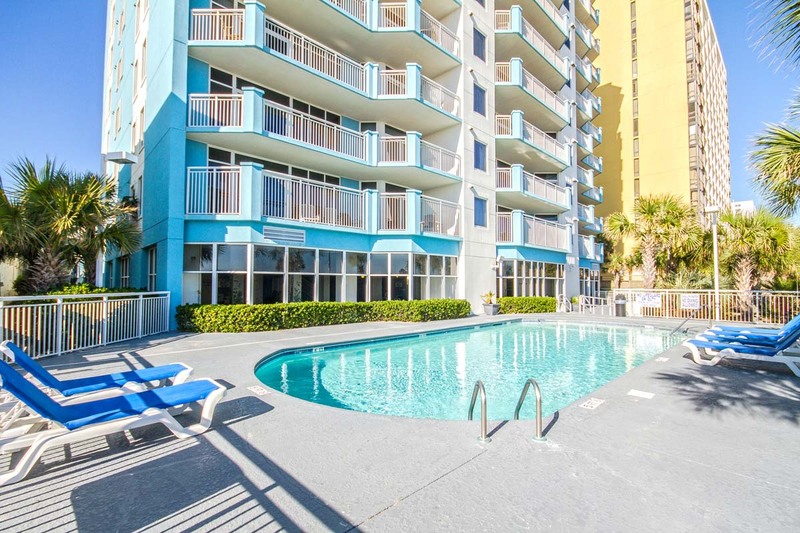 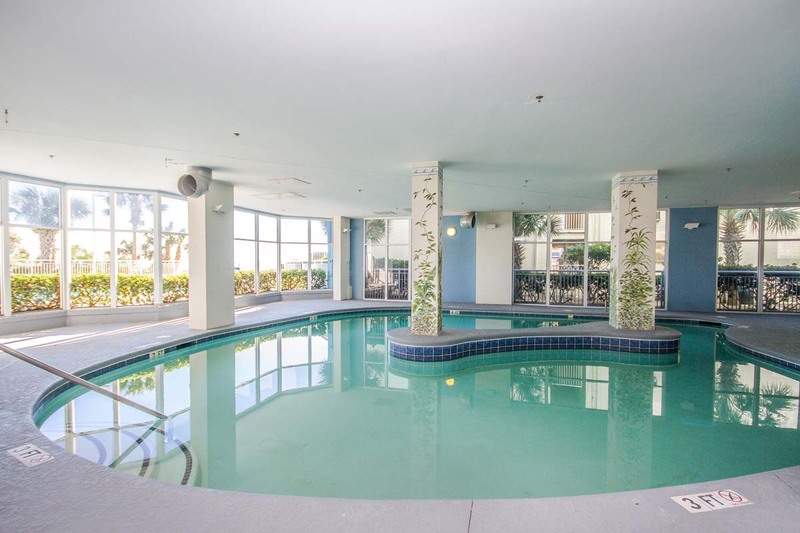 Located oceanfront and right in the heart of Myrtle Beach, the luxury condos of Ocean Blue Resort bring you an upscale vacation rental experience that combines the comforts of home with the allure of a modern beach getaway. 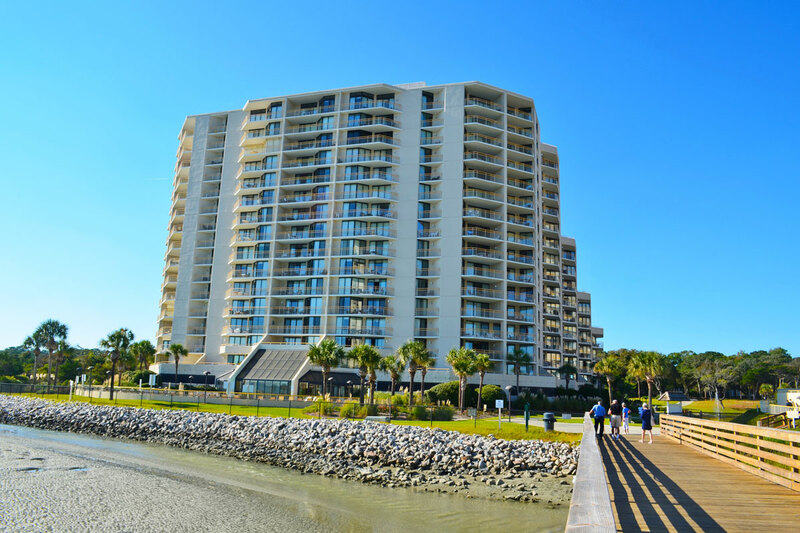 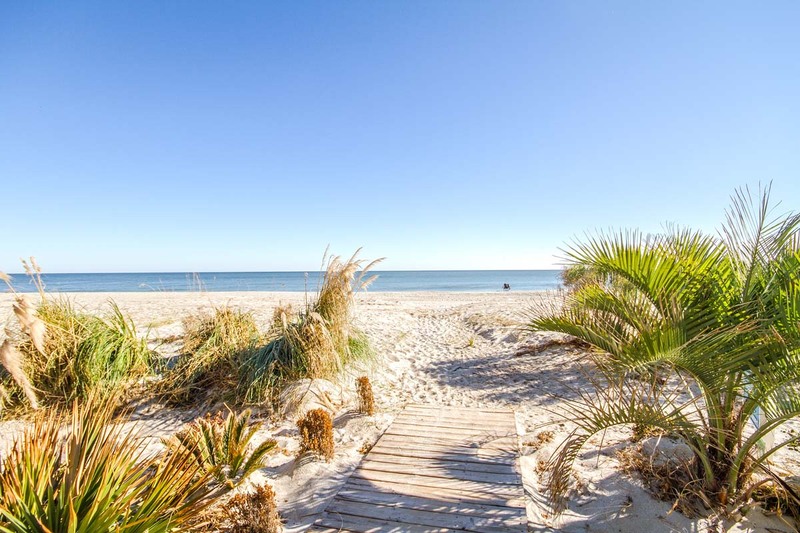 Guests will enjoy the tranquility of the south end of Myrtle Beach, where you can enjoy less crowded beach access and plenty of time lounging along the shore. 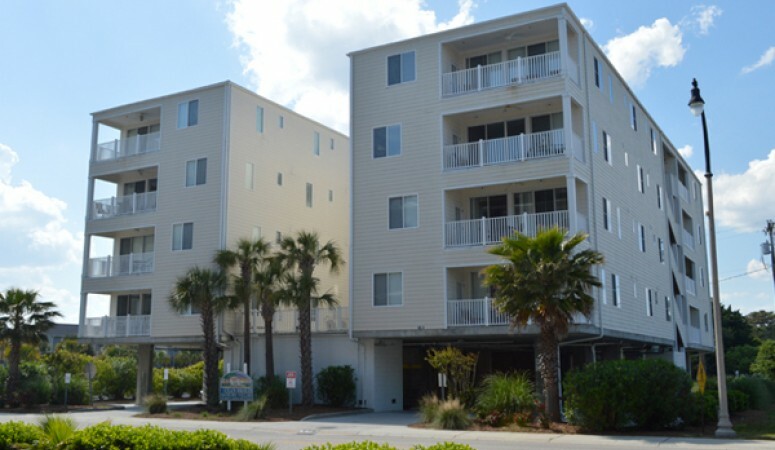 Your oceanfront condo will be only steps away from the Atlantic Ocean, so if you're looking to experience the absolute best that the Grand Strand has to offer, reserve your next beach getaway with Ocean Blue Resort. 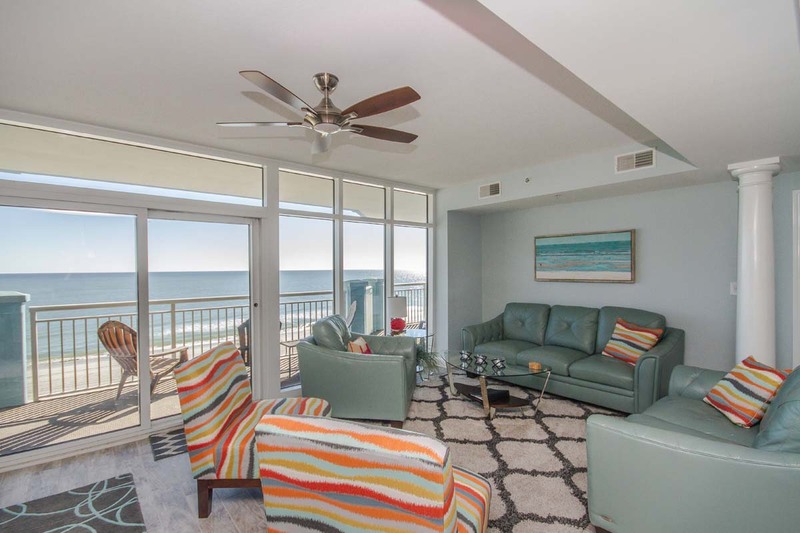 Each of the luxury condos at Ocean Blue is designed and styled with touches of elegance throughout. 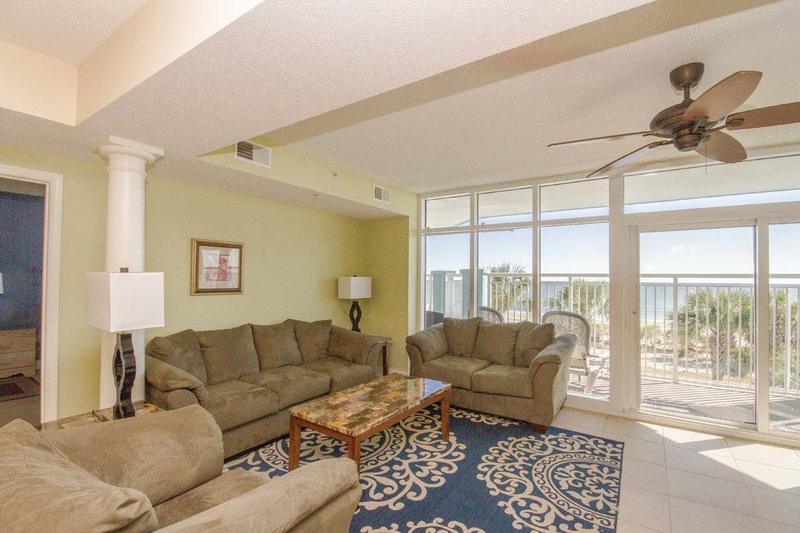 From exquisite granite counters in the fully-equipped kitchen to spacious living areas and bedrooms, the accommodations of the condos at Ocean Blue will keep you relaxed and comfortable throughout the duration of your stay. 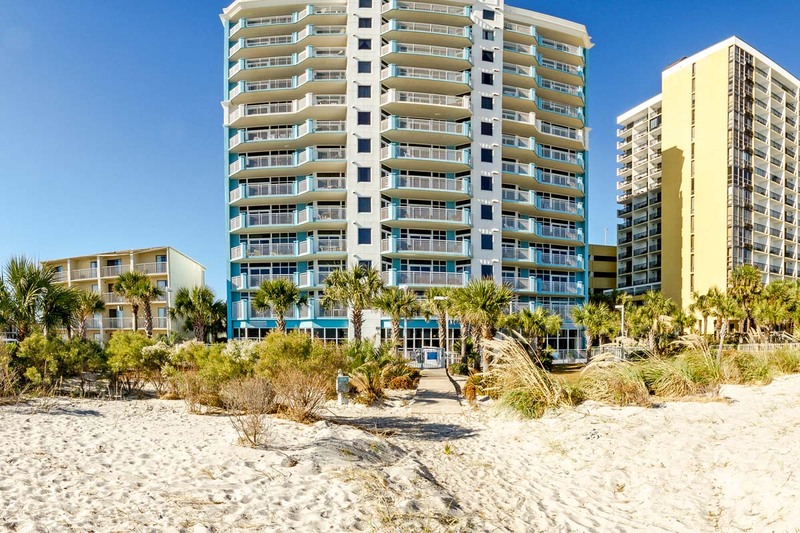 Enjoy the convenience of an in-unit washer & dryer, multiple televisions with cable, complimentary WiFi Internet access, and private balconies overlooking the majestic Atlantic Ocean and adjacent shoreline. 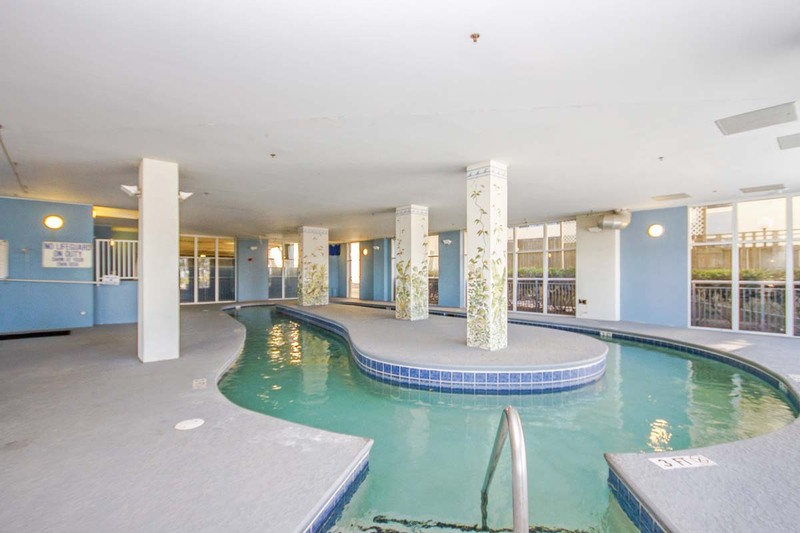 Guests can also indulge in the on-site amenities of the resort, which include indoor and outdoor swimming pools, lazy river, and sundeck. 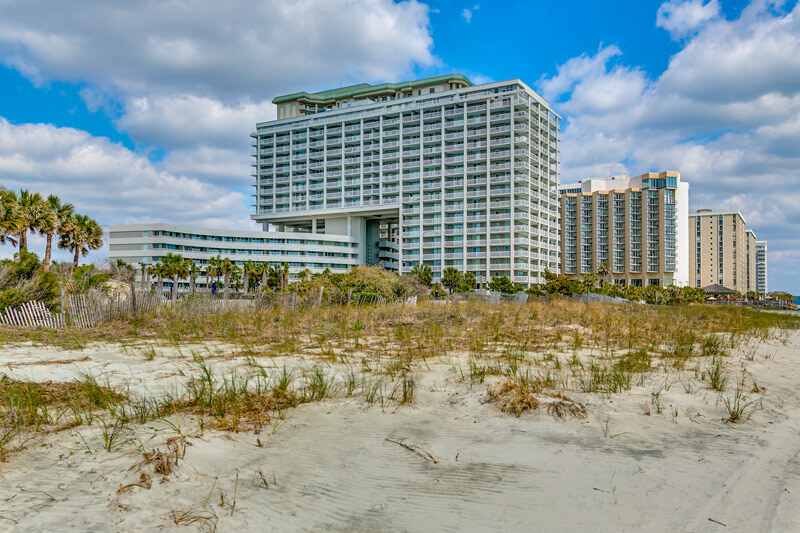 When you're ready to check out the Myrtle Beach scene, you won't have to travel far to discover the most popular attractions along the Grand Strand. 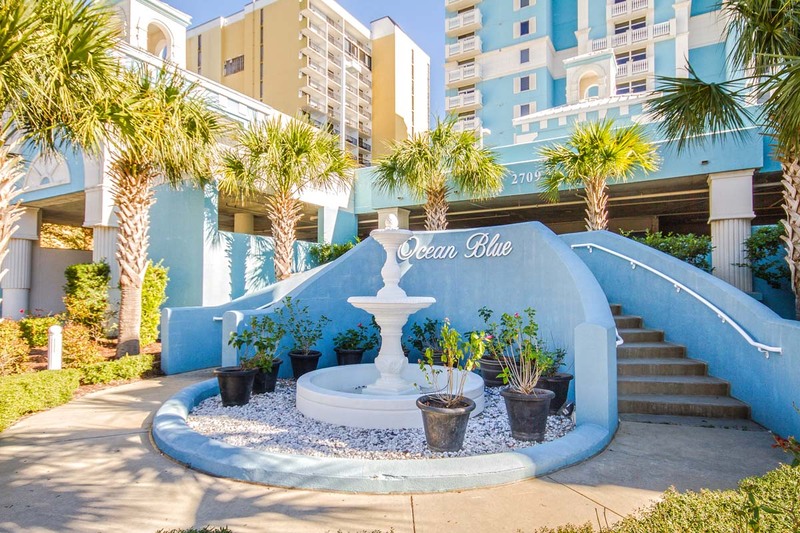 From waterparks like Wild, Water, & Wheels to shopping districts like the Market Common, the possibilities for fun are nearly endless when you reserve a beach vacation at Ocean Blue Resort. 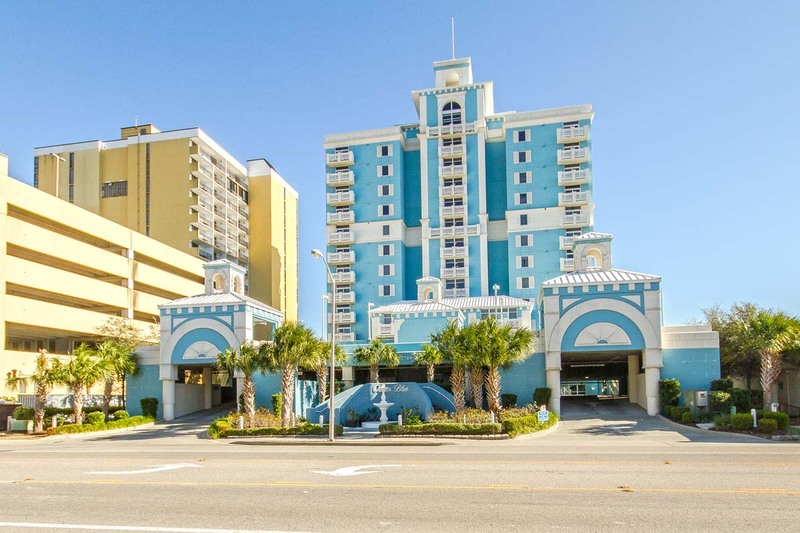 Start planning your next getaway today!